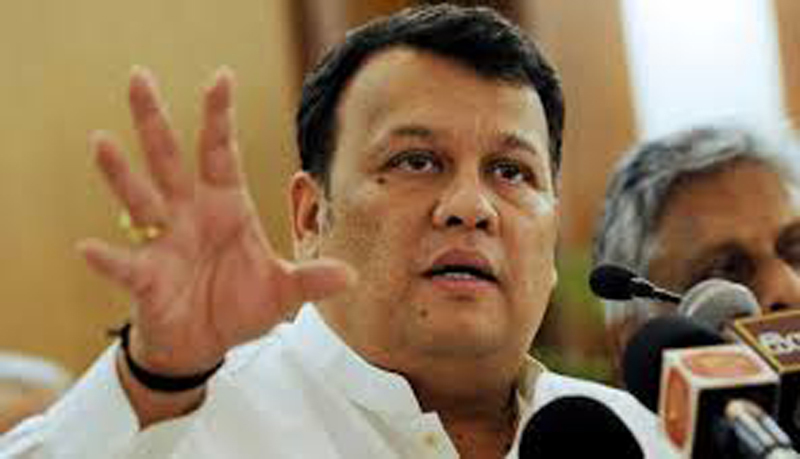 Ports and Shipping Minister Mahinda Samarasinghe yesterday said that the SLFP’s stance is to hold Provincial Council elections under the new mixed electoral system introduced for the Local Government bodies. Addressing the media at the SLFP Headquarters yesterday, Minister Samarasinghe said that the mixed electoral system introduced for the previous Local Government election should also be applied to the Provincial Council and Parliamentary elections. “The SLFP also already proposed to the Operations Committee on Constitutional Reforms to apply this mix electoral system to the Parliamentary elections. The Delimitation Committee Report on Provincial Councils is scheduled to be taken up for special debate in Parliament today and would be put before the House for a vote to be passed by a two-thirds majority in Parliament. Responding to a question by a journalist regarding the next step which can be taken if the Delimitation Committee Report will not be passed in Parliament by a two-thirds majority, Minister Samarasinghe said there is an alternative way to do that. “If the Delimitation Committee Report will not be passed in Parliament by a two-thirds majority, the Speaker should appoint a five member committee headed by the Prime Minister. The Committee should submit a report to the President within two months. If that report recommended that the Delimitation Report can be accepted there was no need to have a two-thirds majority,” the Minister explained. He further said it is not easy to obtain a two-thirds majority since various MPs hold different opinions based on their personal or party requirements.